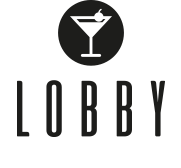 The Lobby Restaurant & Bar is Aruba’s hottest new restaurant that brings a combination of excellent flavor’s and a wonderful dining experience. We are focused on serving high quality, fresh food, handcrafted cocktails, exquisite wine and providing our customers with unbeatable service. We invite you to enjoy our live music, grab a drink, share an appetizer, and relax with your friends on our exquisite outside terrace. Copyright © 2019 Lobby Restaurant & Bar Aruba. All rights reserved.